For availability of pasture raised pork or lamb, call 238.9350. Full and half shares available. Our animals are well cared for and fun to watch. 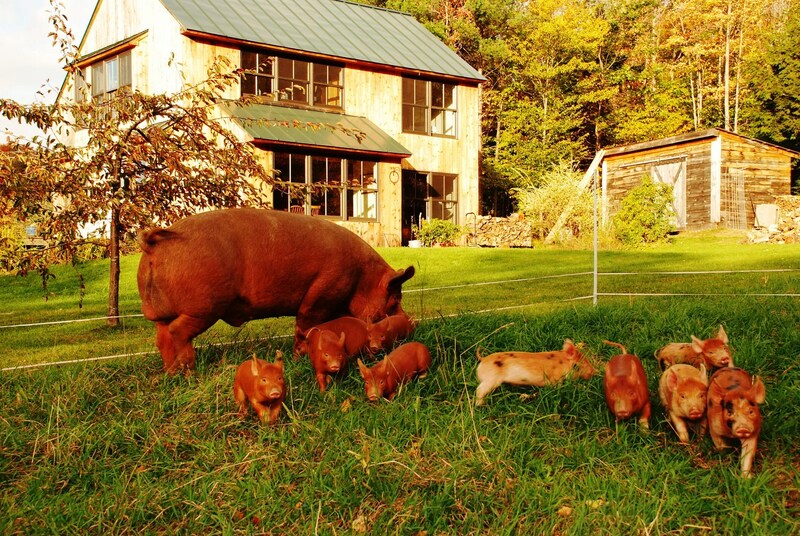 If there is one thing you need to know about our pigs, it’s this: they are hearty, hairy, happy, healthy rooters & grazers. They have never seen a barn. 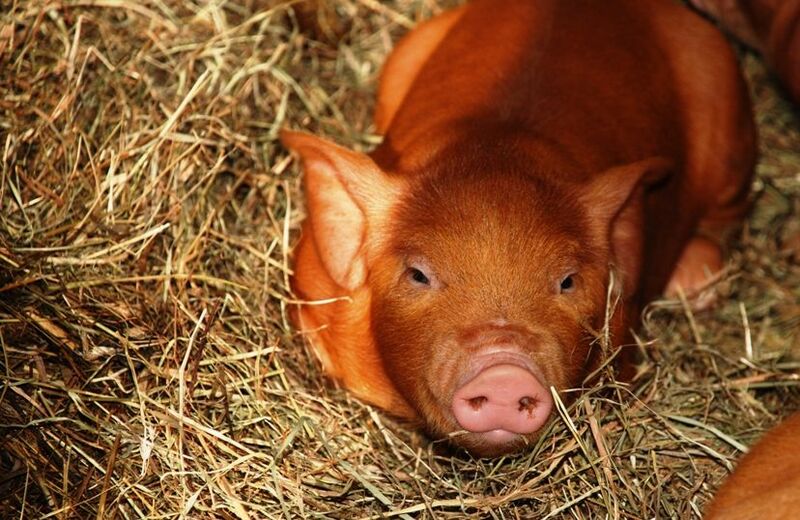 They were born outside and live outside everyday of their hand-raised & cruelty-free lives. 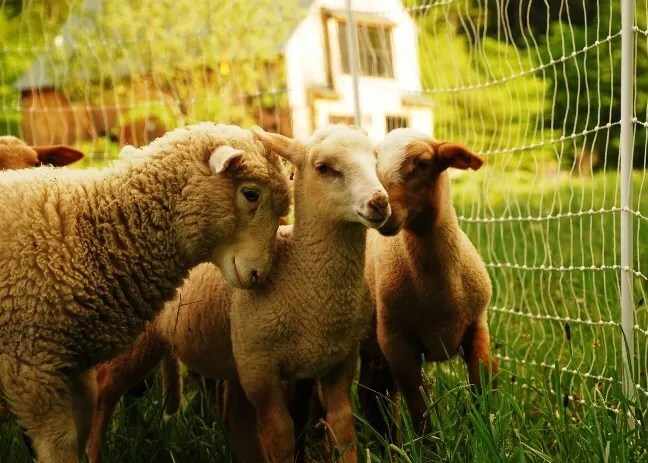 Our sheep are also pasture raised and live outdoors where they, like the pigs, enjoy rotational grazing. During each month of the year that there is grass on the fields, the animals constantly rotate through new pasture. For additional protein, the animals receive supplemental feed and grain that is unmedicated and hormone-free. During the snow covered months, the breeding sows and our boar sleep in a protected shelter in the nearby woods. 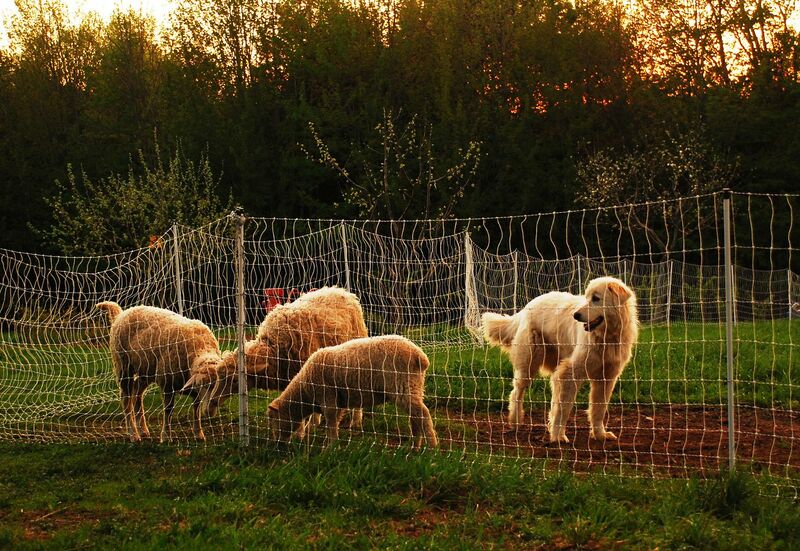 Any of the ewes that over-winter have a separate shelter that they share with their protective livestock guardian dogs. This entry was posted in Community Supported Agriculture and tagged ethically raised animals, pigs, sheep. Bookmark the permalink.